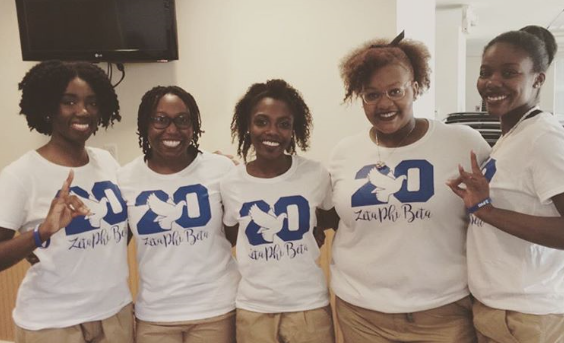 On August 16, 2016, Zeta Phi Beta, Sorority, Inc., Theta Rho Chapter, participated in the NPHC Divine 9 Greek Yard Show. The event happened during the Kennesaw State University’s Week of Welcome, which is a week full of events to get new students and returning students involved and engaged on campus. The Yard Show showcased not only the National Pan Hellenic Council, but also the Multi-Cultural Greek Council as well. Theta Rho members Krista Venzant, Bryana Pettus, Shomari Walcott, Jasmin Douglas, and Olivia Goodridge participated in the showcase and performed.